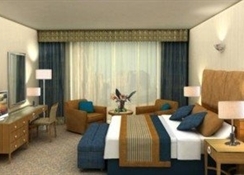 The luxurious Al Ain Rotana Hotel is set on the lively Sheikh Zayed Road in Al Ain, central Abu Dhabi. The 5-star property is close to the commercial and business areas of the city and guests can discover many tourist attractions nearby. The hotel features 242 rooms, including elegant suites, poolside rooms and chalets – all of which are elegantly designed with Art Deco touches and a wide range of modern facilities. Al Ain Rotana features leisure facilities with a gym, tennis and squash courts, an outdoor swimming pool and an award-winning spa, where guests can unwind, relax and rejuvenate in the sauna, steam room, hot tub and indulge in sumptuous massage services offered by the hotel. 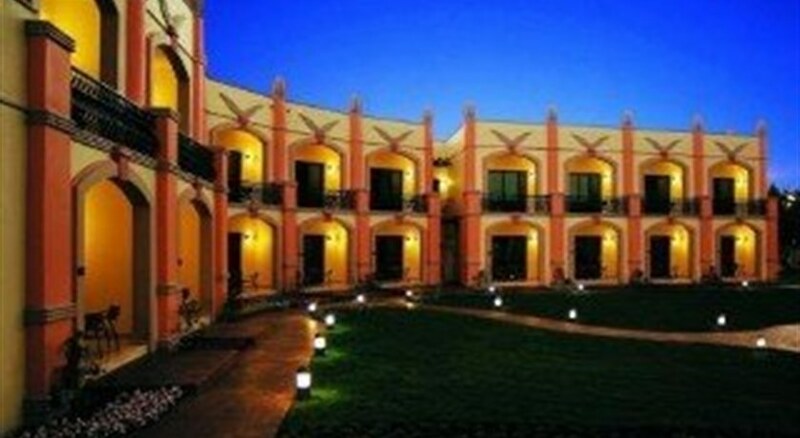 The hotel has four excellent dining and entertainment venues to explore. With French, Polynesian, Mediterranean and Lebanese specialties, guests have a lot of choice to enjoy exotic cuisine in the restaurants that are open throughout the day. There is a DJ and live entertainment in the lounge bar while sipping on cocktails and munching on snacks. The Al Ain Rotana hotel in Al Ain, Abu Dhabi is a 10-minute walk from Al Jahili Fort and 2km from the Sheikh Zayed Palace Museum. 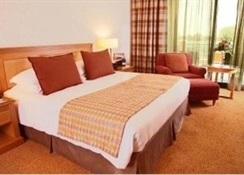 This prominent 5-star hotel is very close to the Al Ain commercial hub and it is about 25 minutes’ drive away from the Al Ain International Airport, while the Dubai International Airport and Abu Dhabi International Airport are 120 km and 160 km respectively. At Al Ain Rotana, you will discover unmatched comfort and luxury. 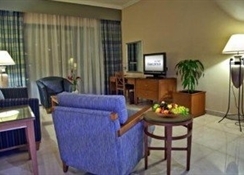 The hotel features 242 elegant rooms that are categorized as studios, villas, poolside chalets, and suites. 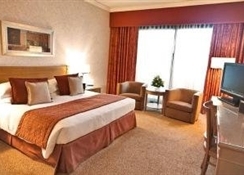 All the rooms have extensive modern amenities, which will leave you super relaxed. 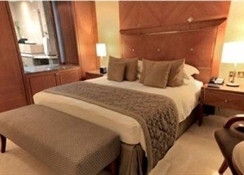 The warmly decorated rooms feature high-speed internet service, flat-screens, minibars and balconies with city or pool views. Upgraded rooms add free Wi-Fi. Suites offer separate living rooms with dining areas; some have whirlpool tubs and kitchenettes. Room service is available 24/7. The Al Ain Rotana features six world-class restaurants each having its own unique cuisine, setting and service. In fact, every outlet here offers a distinct culinary treat, which will definitely satisfy your appetite. The Min Zaman, which is a Lebanese/Arabic restaurant offers conventional Lebanese cuisine with a belly dancer and a singer entertaining the guests. If you are fond of legendary cuisine and signature cocktails, then hit the Trader Vic’s restaurant, it is an ideal place to sit and talk and at the same time sip some house specialty cocktails. Other than this, there is a Zest International Restaurant, Moodz Lounge Bar, Aquarius Poolside dining and Atrium Café Lobby Café. Additionally, you will have 24 hours in room dining options serving local and international specialties. The hotel offers an outdoor pool, a spa and a beauty salon, plus there's a health club with a gym, a steam room, a sauna, a hot tub and a squash court.